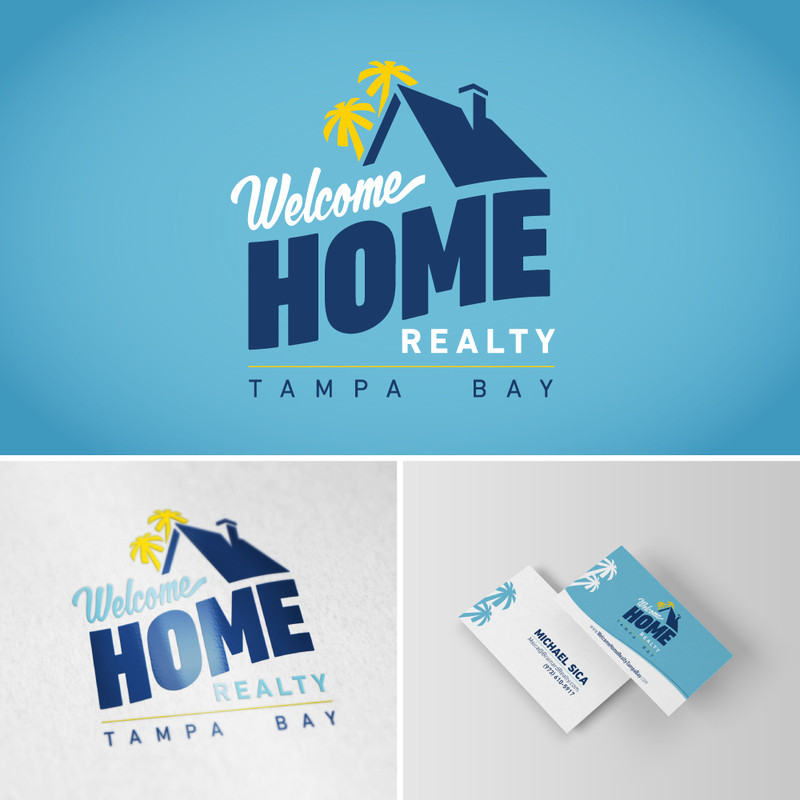 SHAKE designed the logo and business cards for Welcome Home Realty. We used bright, inviting colors to give the business an approachable, “Florida” look. Different shades of blue are always very welcoming and relaxing and the pop of yellow will remind viewers of the sun… and the sunshine state – Florida! We also formed the name of the company into the shape of a house to add to the overall imagery of the logo. It’s easy to tell that this is a realty business logo, even if you didn’t read the “realty” part of their name.